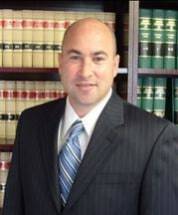 With law offices in Somerset, Steven A. Garner, Attorney at Law, provides experienced legal representation to clients in Somerset, Middlesex and Hunterdon counties and throughout surrounding New Jersey communities. Mr. Garner understands the stress and anxiety that often accompany legal problems. As a solo practitioner, he works personally with each client. He will take the time to help you understand the law and to make you comfortable with the legal process. Whether you have been charged with a criminal offense, are facing divorce, or struggling with another legal matter, Steven A. Garner, Attorney at Law, is here to protect your rights and interests. Contact the law office today online or by telephone at 732-410-7623 to arrange a free initial consultation with a knowledgeable lawyer in Somerset, New Jersey.